What a wet weekend! I'm not just referring to these coated jeans by True Religion either. It practically rained all day both Saturday and Sunday, so I was happy I was able to take these photos on Friday while it was still nice out. I don't hate the rain, though. Growing up in south Florida, I feel like it rained all the time. And here in California, it hardly ever rains, so it's sort of welcomed when it does because 1) we need it and 2) everyone here makes such a big deal about it. Seriously, they spend an entire news cycle talking about rain, lightning and thunder as if it's a hurricane or something. But enough about the weather. I should also mention that I watched the movie Hidden Figures over the weekend as well. Did any of you see it? I'm going to share my review of it on the Muse later this week. So if you have seen it then you can tell me if you agree, and if you haven't seen it, then the review should help you make a decision. Last week I wore my Altuzarra for Target crane sweater for the first time on the Muse since purchasing it back in 2014. And it appears that I've decided to continue that tradition again this week by wearing this Torn by Ronny Kobo top. I don't remember when or where I bought this, but I know that it's been sitting in my closet for years. Unlike the sweater, I don't think I've ever worn this top anywhere before, but I plan to take it out more often come spring and summer. But I'm pretty sure we all know the star of this look is the coated denim. I seem to only wear these in the fall/winter months as you can see when I paired it with this cape blazer and again here with this baroque blazer. Did you watch the Golden Globes last night? What did you think? And as promised, I'm starting my Lookbook Linkup today! So please go ahead and add your latest blog post to the linkup below -- and tell your blogger friends so they can linkup, too! I want to see Hidden Figures too, I'll go next weekend. Love this look, the beanie and coat are too cute. Thanks, Rachelle! I'm going to share my review of Hidden Figures on the blog this Wednesday! I definitely think it's a good top and so worth wearing more! Can't wait to see how you style it in the future! Me too, lol. It's definitely a warm weather piece. I think your boots are awesome and so is this outfit! And I really only saw the highlights. My fave part: Meryl Streep's speech. Boom! Usually I don't watch award shows at all (maybe the red carpets), but this time I actually skipped the red carpet and watched the actual show. Meryl's speech about politics and journalists was amazing! You look great! Love the cute little hat and cool boots! Such a cute look. Love the beanie. Yay! The Hidden Figures review is going up this Wednesday. I think you'll love the movie. I'll take rain over snow any day which is what we got in NYC! Love the beanie you topped off this look with! I love this outfit on you and the top and hat is TDF. Love the whole outfit! It looks great on you! 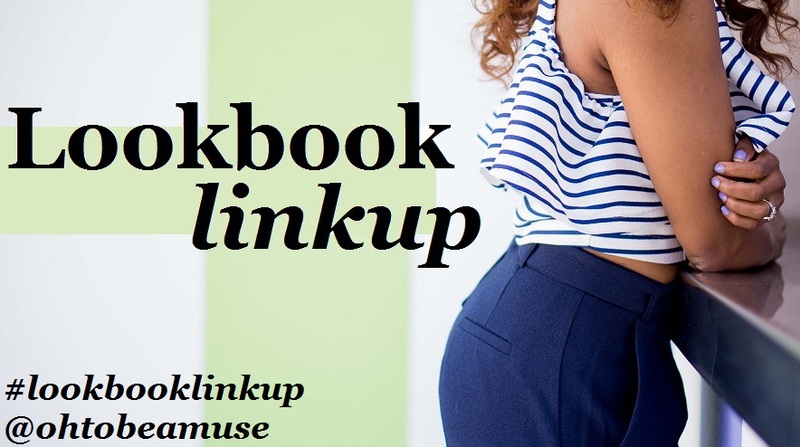 First of all Happy New Year and congratulations on your LookBook new linkup! I love how you layered here while still keeping warm for Winter. Great way to style a coat with a blanket scarf. I am truly loving those awesome jeans and your booties though. Fierce, edgy, stylish and comfortable all rolled into one outfit, Cheryl! Thanks for the kind words. Will stop by your linkup this Thursday! Hi C! It seems like the year just started and its already mid January ! OMG I am just trying to catch up, you're really rocking that beanie.